aOver 10,000 Axis soldiers continued to fight until early March 1943. The Battle of Stalingrad (23 August 1942 – 2 February 1943) was a major battle on the Eastern Front of World War II in which Nazi Germany and its allies fought the Soviet Union for control of the city of Stalingrad (now Volgograd) in Southern Russia, on the eastern boundary of Europe. Marked by fierce close quarters combat and direct assaults on civilians by air raids, it is often regarded as one of the single largest (nearly 2.2 million personnel) and bloodiest (1.7–2 million wounded, killed or captured) battles in the history of warfare. The heavy losses inflicted on the German Wehrmacht make it arguably the most strategically decisive battle of the whole war. It was a turning point in the European theatre of World War II; German forces never regained the initiative in the East and withdrew a vast military force from the West to replace their losses. On 19 November 1942, the Red Army launched Operation Uranus, a two-pronged attack targeting the weaker Romanian and Hungarian armies protecting the German 6th Army's flanks. 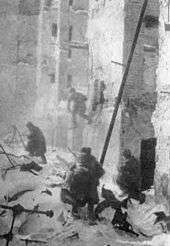 The Axis forces on the flanks were overrun and the 6th Army was cut off and surrounded in the Stalingrad area. 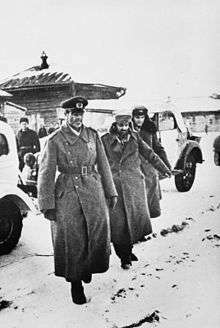 Adolf Hitler ordered that the army stay in Stalingrad and make no attempt to break out; instead, attempts were made to supply the army by air and to break the encirclement from the outside. Heavy fighting continued for another two months. 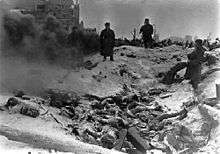 By early February 1943, the Axis forces in Stalingrad had exhausted their ammunition and food. The remaining units of the 6th Army surrendered. :p.932 The battle lasted five months, one week, and three days. David Glantz indicated that four hard-fought battles – collectively known as the Kotluban Operations – north of Stalingrad, that the Soviets made their greatest stand, decided Germany's fate before the Nazis ever set foot in the city itself, and were a turning point in the war. 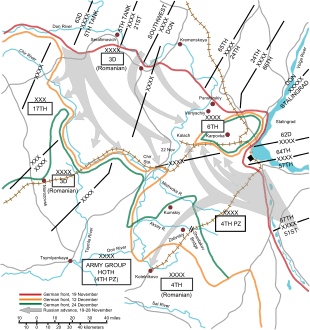 Beginning in late August, continuing in September and into October, the Soviets committed between two and four armies in hastily coordinated and poorly controlled attacks against the German's northern flank. The actions resulted in more than 200,000 Red Army casualties but did slow the German assault. The battle began with the heavy bombing of the city by Generaloberst Wolfram von Richthofen's Luftflotte 4, which in the summer and autumn of 1942 was the single most powerful air formation in the world. Some 1,000 tons of bombs were dropped in 48 hours, more than in London at the height of the Blitz. 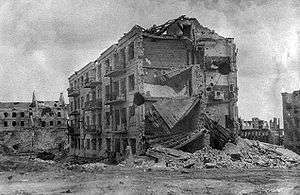 :p.122 Much of the city was quickly turned to rubble, although some factories continued production while workers joined in the fighting. 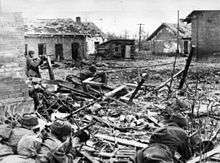 The 369th (Croatian) Reinforced Infantry Regiment was the only non-German unit selected by the Wehrmacht to enter Stalingrad city during assault operations. It fought as part of the 100th Jäger Division. October 1942: A German Oberleutnant (1st Lieutenant) with a Soviet PPSh-41 submachine gun in Barrikady factory rubble. About 265,000 German, Romanian, and Italian soldiers, the 369th (Croatian) Reinforced Infantry Regiment, and other volunteer subsidiary troops including some 40,000 Soviet volunteers fighting for the Germans (Beevor states that one quarter of the sixth army's frontline strength were HIWIs, as collaborationists recruited from the ranks of Soviet POWs were called) were surrounded. 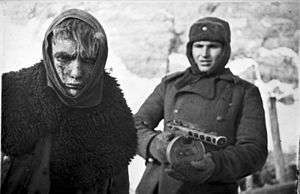 These Soviet HIWIs remained loyal, knowing the Soviet penalty for helping the Germans was summary execution. German strength in the pocket was about 210,000 according to strength breakdowns of the 20 field divisions (average size 9,000) and 100 battalion sized units of the Sixth Army on 19 November 1942. 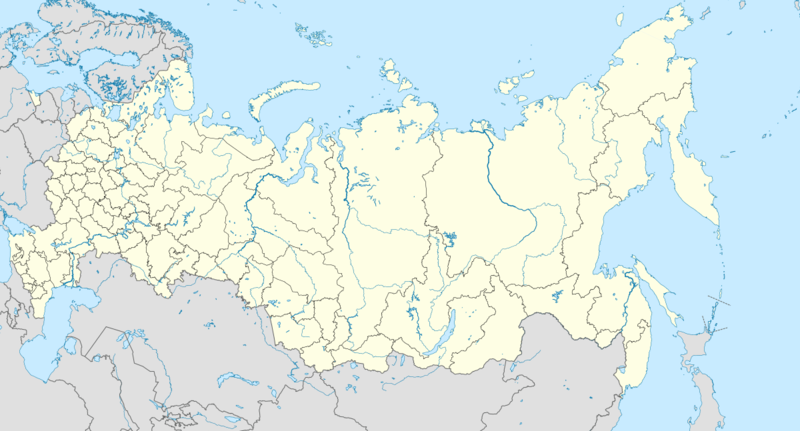 Inside the pocket (German: Kessel, literally "cauldron"), there were also around 10,000 Soviet civilians and several thousand Soviet soldiers the Germans had taken captive during the battle. 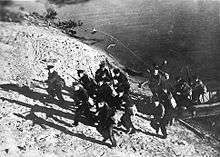 Not all of the 6th Army was trapped; 50,000 soldiers were brushed aside outside the pocket. These belonged mostly to the other 2 divisions of the 6th Army between the Italian and Romanian Armies: the 62nd and 298th Infantry Divisions. Of the 210,000 Germans, 10,000 remained to fight on, 105,000 surrendered, 35,000 left by air and the remaining 60,000 died. Supplying the 270,000 men trapped in the "cauldron" required 700 tons of supplies a day. That would mean 350 Ju52 flights a day into Pitomnik. At a minimum, 500 tons were required. However, according to Adam, "On not one single day have the minimal essential number of tons of supplies been flown in. ":119,127,131,134 The Luftwaffe was able to deliver an average of 85 t (94 short tons) of supplies per day out of an air transport capacity of 106 t (117 short tons) per day. The most successful day, 19 December, delivered 262 t (289 short tons) of supplies in 154 flights. To make matters worse, the Luftwaffe refused to let army supply units oversee the supply loads. As a result the supplies that did get through — which included tons of pepper and marjoram, thousands of right shoes, and millions of contraceptives — frequently proved useless.The outcome of the airlift was the Luftwaffe’s failure to provide its transport units with the tools they needed to maintain an adequate count of operational aircraft — tools that included airfield facilities, supplies, manpower, and even aircraft suited to the prevailing conditions. These factors, taken together, prevented the Luftwaffe from effectively employing the full potential of its transport forces, ensuring that they were unable to deliver the quantity of supplies needed to sustain the 6th Army. In spite of the failure of the German offensive to reach the 6th Army, the air supply operation continued under ever more difficult circumstances. The 6th Army slowly starved. Pilots were shocked to find the troops too exhausted and hungry to unload. Germans fought over the slightest scraps of bread. General Zeitzler, moved by their plight, began to limit himself to their slim rations at meal times. After a few weeks on such a diet, he had lost 12 kg (26 lb) and had become so emaciated that Hitler, annoyed, personally ordered him to start eating regular meals again. The German public was not officially told of the impending disaster until the end of January 1943, though positive media reports had stopped in the weeks before the announcement. 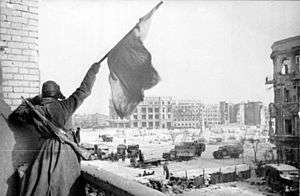 Stalingrad marked the first time that the Nazi government publicly acknowledged a failure in its war effort; it was not only the first major setback for the German military, but a crushing defeat where German losses almost equal to those of the Soviets was unprecedented. Prior losses of the Soviet Union were generally three times as high as the German ones. On 31 January, regular programming on German state radio was replaced by a broadcast of the somber Adagio movement from Anton Bruckner's Seventh Symphony, followed by the announcement of the defeat at Stalingrad. On 18 February, Minister of Propaganda Joseph Goebbels gave the famous Sportpalast speech in Berlin, encouraging the Germans to accept a total war that would claim all resources and efforts from the entire population. Based on Soviet records, over 10,000 soldiers continued to resist in isolated groups within the city for the next month. Some have presumed that they were motivated by a belief that fighting on was better than a slow death in Soviet captivity. The Israeli historian Omer Bartov claims they were motivated by National Socialism. He studied 11,237 letters sent by soldiers inside of Stalingrad between 20 December 1942 and 16 January 1943 to their families in Germany. Almost every letter expressed belief in Germany's ultimate victory and their willingness to fight and die at Stalingrad to achieve that victory. Bartov reported that a great many of the soldiers were well aware that they would not be able to escape from Stalingrad, but in their letters to their families boasted that they were proud to "sacrifice themselves for the Führer". 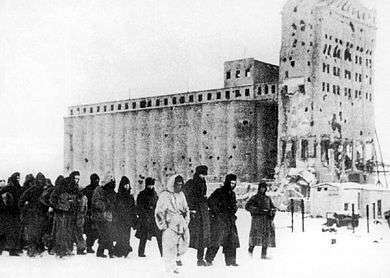 Out of the nearly 91,000 German prisoners captured in Stalingrad, only about 5,000 ever returned. Already weakened by disease, starvation and lack of medical care during the encirclement, they were sent on foot marches to prisoner camps and later to labour camps all over the Soviet Union. Some 35,000 were eventually sent on transports, of which 17,000 did not survive. Most died of wounds, disease (particularly typhus), cold, overwork, mistreatment, and malnutrition. Some were kept in the city to help rebuild. A handful of senior officers were taken to Moscow and used for propaganda purposes, and some of them joined the National Committee for a Free Germany. Some, including Paulus, signed anti-Hitler statements that were broadcast to German troops. Paulus testified for the prosecution during the Nuremberg Trials and assured families in Germany that those soldiers taken prisoner at Stalingrad were safe. :p.401 He remained in the Soviet Union until 1952, then moved to Dresden in East Germany, where he spent the remainder of his days defending his actions at Stalingrad, and was quoted as saying that Communism was the best hope for postwar Europe. :p.280 General Walther von Seydlitz-Kurzbach offered to raise an anti-Hitler army from the Stalingrad survivors, but the Soviets did not accept. It was not until 1955 that the last of the 5–6,000 survivors were repatriated (to West Germany) after a plea to the Politburo by Konrad Adenauer. Regardless of the strategic implications, there is little doubt that Stalingrad was a morale watershed. Germany's defeat shattered its reputation for invincibility and dealt a devastating blow to German morale. On 30 January 1943, the tenth anniversary of his coming to power, Hitler chose not to speak. Joseph Goebbels read the text of his speech for him on the radio. The speech contained an oblique reference to the battle, which suggested that Germany was now in a defensive war. The public mood was sullen, depressed, fearful, and war-weary. Germany was looking in the face of defeat. 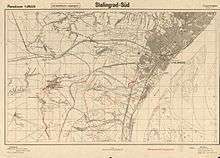 The calculation of casualties depends on what scope is given to the battle of Stalingrad. 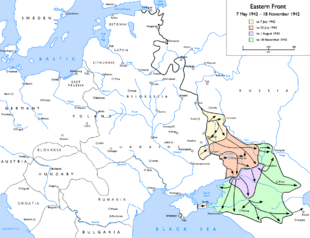 The scope can vary from just the fighting within the city and suburbs itself to the inclusion of almost all fighting on the southern wing of the Soviet-German front from the spring of 1942 to the end of the fighting in the city in the winter of 1943. Different scholars have produced different estimates depending on their definition of the scope of the battle. The difference is comparing the city against the region. The Axis suffered 850,000 total casualties (wounded, killed, captured) among all branches of the German armed forces and its allies; 400,000 Germans, 200,000 Romanians, 130,000 Italians, and 120,000 Hungarians were killed, wounded or captured. On the materiel side, the Germans losses were 900 aircraft (including 274 transports and 165 bombers used as transports), 500 tanks, and 6,000 artillery pieces. :122–123 According to a contemporary Soviet report, 5,762 artillery pieces; 1,312 mortars; 12,701 heavy machine guns; 156,987 rifles; 80,438 sub-machine guns; 10,722 trucks; 744 aircraft; 1,666 tanks; 261 other armored vehicles; 571 half-tracks; and 10,679 motorcycles were captured by the Soviets. An unknown amount of Hungarian, Italian, and Romanian material was lost. 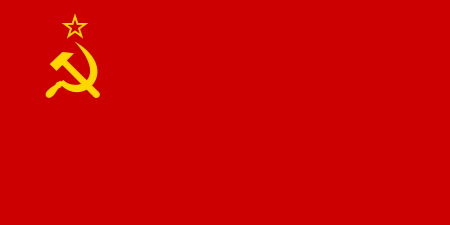 The USSR, according to archival figures, suffered 1,129,619 total casualties; 478,741 personnel killed or missing, and 650,878 wounded or sick. On the material side, the USSR lost 4,341 tanks destroyed or damaged, 15,728 artillery pieces, and 2,769 combat aircraft. In all, the battle resulted in an estimated total of 1.7–2 million Axis and Soviet casualties. The losses of transport planes were especially serious, as they destroyed the capacity for resupply of the trapped 6th Army. The destruction of 72 aircraft when the airfield at Tatsinskaya was overrun meant the loss of about 10% of the entire Luftwaffe transport fleet. These losses amounted to about 50% of total aircraft committed. 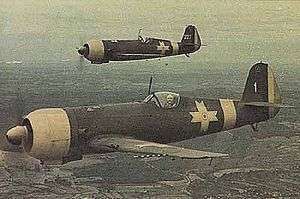 In addition, the Luftwaffe training program was stopped and sorties in other theaters of war were significantly reduced to save fuel for use at Stalingrad. The events of the Battle for Stalingrad have been covered in numerous media works of British, American, German, and Russian origin, for its significance as a turning point in the Second World War and for the loss of life associated with the battle. 1 2 3 4 5 Zhukov, Georgy (1974). Marshal of Victory, Volume II. Pen and Sword Books Ltd. pp. 110–111. ISBN 9781781592915. ↑ Michael Burleigh (2001). The Third Reich: A New History. Pan. p. 503. ISBN 978-0-330-48757-3. 1 2 Walsh, Stephen. (2000). Stalingrad 1942–1943 The Infernal Cauldron. London, New York: Simon & Schuster. ISBN 0-7432-0916-8. 1 2 3 4 5 6 7 8 9 10 11 12 13 14 15 16 17 18 19 20 21 22 23 24 Adam, Wilhelm; Ruhle, Otto (2015). With Paulus at Stalingrad. Translated by Tony Le Tissier. Pen and Sword Books Ltd. p. 18,22. ISBN 9781473833869. 1 2 3 4 5 6 7 8 9 10 11 Beevor (1998), 198. ↑ "Battle of Stalingrad". WWII in HD. Secrets of The Dead: Deadliest Battle. 38 minutes in. 1 2 Pojić, Milan. Hrvatska pukovnija 369. na Istočnom bojištu 1941. – 1943.. Croatian State Archives. Zagreb, 2007. ↑ Beevor (1998), 84–5, 97, 144. 1 2 3 TV Novosti. "Crucial WW2 battle remembered". Archived from the original on 9 March 2009. Retrieved 19 February 2009. 1 2 Pennington, p. 197. ↑ Maps of the conflict. Leavenworth Papers No. 2 Nomonhan: Japanese-Soviet Tactical Combat, 1939; MAPS Archived 1 January 2007 at the Wayback Machine.. Retrieved 5 December 2009. ↑ Deiml, Michael (1999). Meine Stalingradeinsätze (My Stalingrad Sorties) Archived 3 June 2008 at the Wayback Machine.. Einsätze des Bordmechanikers Gefr. Michael Deiml (Sorties of Aviation Mechanic Private Michael Deiml). Retrieved 4 December 2009. ↑ Victor, George (2000). Hitler: Pathology of Evil. Washington, DC: Brassey's Inc. p. 208. ISBN 1-57488-228-7. Retrieved 23 August 2008. 1 2 3 Sandlin, Lee (1997). "Losing the War". Originally published in Chicago Reader, 7 and 14 March 1997. Retrieved 4 December 2009. 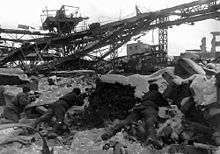 ↑ Google Video: Stalingrad — OSA III — Stalingradin taistelu päättyy (Stalingrad, Part 3: Battle of Stalingrad ends) (Television documentary. German original: "Stalingrad" Episode 3: "Der Untergang, 53 min, Sebastian Dehnhardt, Manfred Oldenburg (directors) IMDB) (in Finnish, German, and Russian). broadview.tv GmbH, Germany 2003. Archived from the original (Adobe Flash) on 7 April 2009. Retrieved 16 July 2007. 1 2 3 P.M.H. Bell, Twelve Turning Points of the Second World War, Yale University Press, New Haven and London, 2011, p 107. ↑ Historical Memorial Complex "To the Heroes of the Stalingrad Battle" at Mamayev Hill. Official web site Archived 26 September 2008 at the Wayback Machine.. Retrieved 17 July 2008. ↑ "The Great Battle on the Volga (1962)". Video.google.com. Retrieved 12 November 2010. Joly, Anton (2013) Stalingrad: Battle Atlas, StalData Publications (paperback, ISBN 979-10-93222-03-5).